High on the cliff tops of St Margaret’s Bay, to the east of Dover, stands a Windmill but it is no ordinary windmill. It was commissioned by Sir William Beardsell and completed in 1928. Sir William, born in Stockport in 1865, the eldest son of Joseph Beardsell, was educated at Manchester Grammar School. He spent most of his working life as a merchant in Madras (now Chennai), India where he ran a successful business together with a partner, William Johnstone. Beardsell was very much involved in public affairs and was appointed the Sheriff of the High Court in Madras and according to the 1918 ‘Who’s Who’, he enjoyed riding, motoring, golf and photography. On 12 August 1920, King George V (1910-1935) conferred upon him the honour of a knighthood. Sir William retired and settled in St Margaret’s buying the lower Trinity House lighthouse. The village of St Margaret’s was named after St Margaret of Antioch (died 304AD) by the Canons of St Martin-le-Grand, Dover. The village is Britain’s closest to France, just over 18 sea miles (33 kilometres) on the south-eastern tip of Kent. To the west is Dover and to the east are the Goodwin Sands. The Goodwins are a series of sandbanks approximately 3 miles (5km) from the coast, 10 miles (16kms) long and up to 2 miles (3kms) wide in places. Some of the sands are so close to the surface that at low spring tides cricket matches have been played on them! However, the Goodwins are justifiably called the ‘Great Ship Swallower’, they are almost at the narrowest part of the Dover Strait and are deadly. 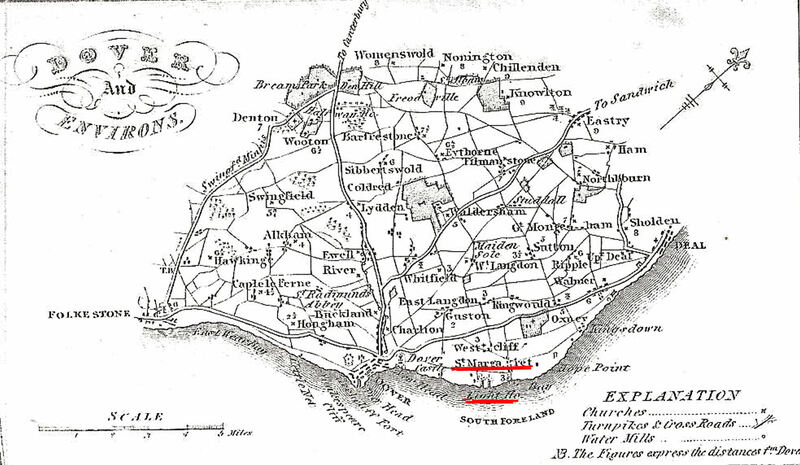 For this reason, two lighthouses were built on the South Foreland, near the village of St Margaret’s in 1793. These were demolished and replaced by another pair, built by Trinity House, in 1843. Both sets of lighthouses were designed to show a constant light such that if mariners maintained a course that kept the two lights in alignment or sailed south of this transit line, they would miss the Goodwins. The stratagem worked. 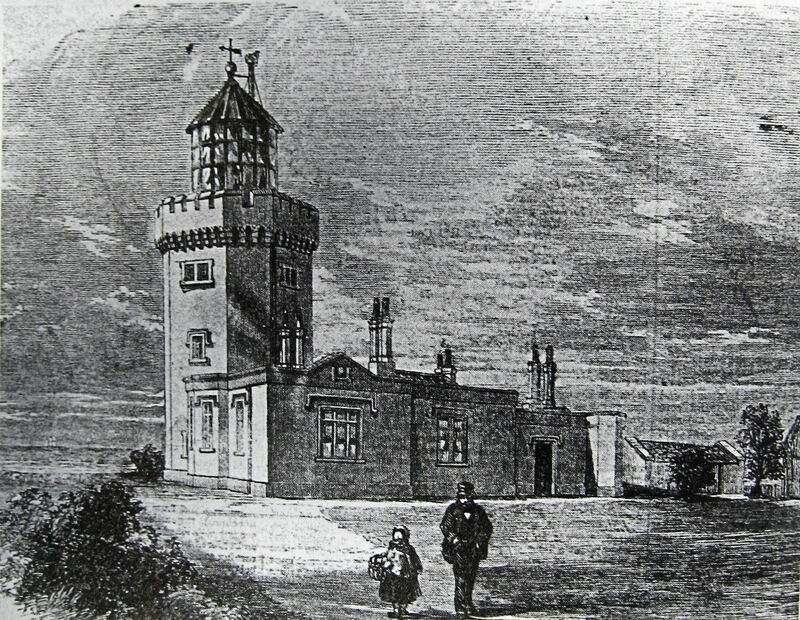 The lower of the two replacement lighthouses was of national interest in September 1851, when the first submarine telegraph cable was laid across the Channel. This was from a cave below the lower lighthouse and up until the middle of the 20th century, the remains of the iron ladder could be seen traversing the cliff to the cave. On 1 January 1872, both lighthouses received national plaudits when the first practical use of electricity was introduced as an illuminant for the lighthouses. However, the Goodwin Sands are not stable and by 1904, the alignment of the lighthouse lights was no longer reliable. 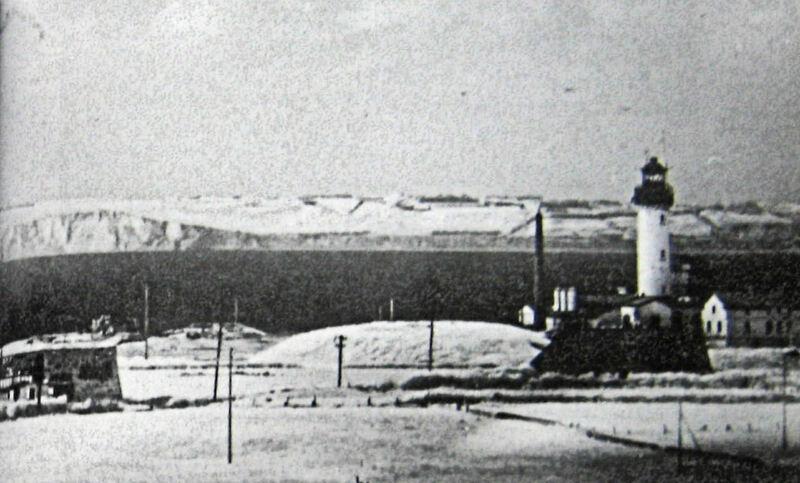 The upper lighthouse was converted to a rotating optic (flashing light) from which vessels took a bearing in order to navigate around the Sands. It was within this lighthouse that on Christmas Eve 1898, Gugliemo Marconi (1874-1937) demonstrated his new wireless system. He transmitted a signal to the South Sands (Goodwin) Lightship making the world’s first shore to ship radio transmission. It was in February 1899 that Marconi demonstrated his first practical radio-signalling system by contacting the East Goodwin Lightship, 12 miles away, from the upper lighthouse. In the 1980s, the upper lighthouse was decommissioned and purchased by the National Trust in 1989. It is now a popular tourist attraction particularly as one of the best examples of a mid-19th century lighthouse, complete with the original clockwork weights mechanism and some 20th century electrically powered mechanisms. It was the lower lighthouse that Sir William bought and this was decommissioned in 1904, following which the building was turned into a private residence. Shortly after purchasing the old lighthouse, Sir William had the house built nearby for his sister, Mrs Annie Scott, and then decided to add a windmill to ‘give rural charm’ to the property. He combed Kent for a mill that would serve his purpose and eventually did buy one but it was unsuitable to be moved. Finally, his architect suggested building a false windmill and this was agreed. The Windmill was constructed by millwrights Messrs Holman Bros of Canterbury and completed in 1928. Although it cannot strictly be termed a mill as it lacks the internal machinery essential for the milling process, externally it has all the attributes. It looks like a typical smock mill as it is timber framed and clad with weatherboarding, octagonal in shape with a boat-shaped cap, four sweeps that work, fantail and wooden smock. The same mechanical principles as a working mill were built into the cap and top floor. The whole rests on a brick-base, which also supported the living quarters. Besides these, Sir William did have a practical use for his ‘folly’, for inside the Windmill was a generator powered by the Windmill to provide electricity for domestic purposes. In September 1939, shortly after the outbreak of World War II (1939-1945), Sir William entered a Manchester nursing home where, at the age of 75, he died on 6 December 1940. In May 1940, the French and Belgium Channel ports fell to German occupation, which led to the Dunkirk Evacuation. From the outbreak of War, there had been hostile activity in the Strait of Dover but from that time the situation changed dramatically for the worse. Between the 10 July and 31 October 1940 was the Battle of Britain, a prolonged aerial conflict to control the skies above the Channel and South Eastern England. At the same time and for the years that followed there were sea battles, artillery attacks from the Continental mainland and bombing. It was not for nothing that this part of Britain became known as Hell Fire Corner. Vice-Admiral Bertram Ramsay the Commander of Fortress Dover 24 August 1939 to April 1942. Doyle Collection. Throughout the War, the officer responsible for co-ordinating all of Dover’s defences be they on land, sea or in the air, was the Fortress Commander based at the Castle. 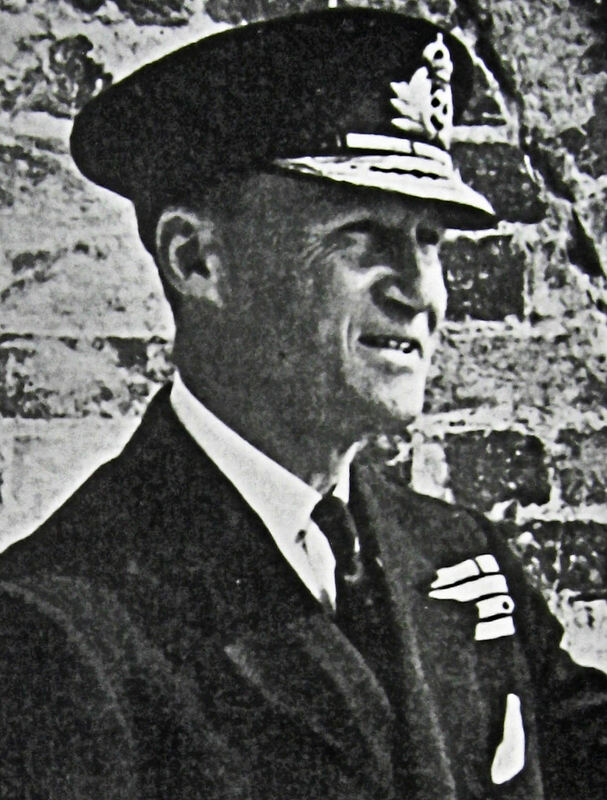 From 24 August 1939 to April 1942, this was Vice-Admiral Bertram Ramsay (1883-1945). From his headquarters at Dover Castle he was responsible for the various defensive measures. One of the first things he organized were the defensive gun batteries. World War I (1914-1918) gun batteries were updated and redeployed and new ones built. 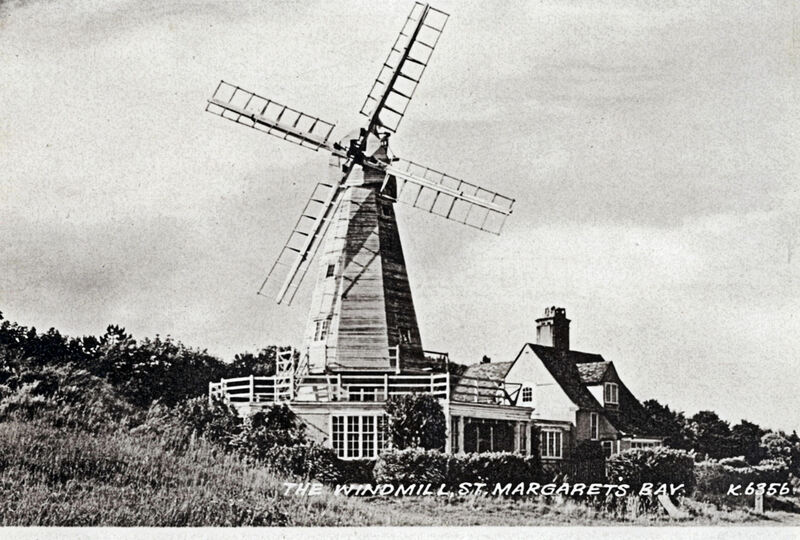 Initially, the nearest battery to St Margaret’s Windmill was at Fan Bay, becoming operational in February 1941. This was armed with three 6-inch guns with a range of 25,000 yards. In October that year the South Foreland battery, close to the Windmill with four 9.2 guns and a range of 31,000 yards, became operational and was primarily an offensive battery. The whole area, some 200 acres, had by this time been requisitioned by the War Office, including the Windmill, and was closed to the public. Wanstone Farm was located on the west side of St Margaret’s, to the rear of South Foreland Lighthouse. Here the 233 Independent Maintenance Battery was located, whose job it was to maintain all the guns in the area. As the War progressed, five new long-range batteries were created to fire at enemy shipping in the Channel. They were positioned along the coast around the village of St Margaret’s and were known as ‘Winnie‘, ‘Clem‘, ‘Jane‘ ‘Pooh‘ and ‘Bruce‘. Jane and Clem were two 15-inch guns that came into operation in August 1942, and were located on Wanstone farm. Jane was originally designed for HMS Repulse and named after a Daily Mirror cartoon character. Clem was said to be named after the Labour leader Clement Attlee (1883-1967) or Winston Churchill’s (1874-1965) wife Clementine (1885-1977). The two guns were wire wound and made of a composite of steel and steel wire. This construction was introduced in the 1890’s to deal with the increased barrel pressures caused by the use of the then new propellant – cordite. These were the nearest of the big guns to the Windmill. Although quite some distance away, they would have shattered windows when they were fired if they had not been boarded up. Although the various batteries had their own command posts, plotting rooms, radar etc., the nerve centre was the Fire Command Post at Dover Castle. There they co-ordinated and worked in conjunction with all the other defence departments such as the Admiralty Lookout and the Port War Signal Station. The personnel came from all three armed forces and those operating in the Admiralty Lookout and Port War Signal Station were trained in communications. Their work played a vital part in Fortress Dover’s defence by locating enemy ships, relaying orders and helping to coordinate naval, air and military forces in action. As the War progressed they moved into offensive action. 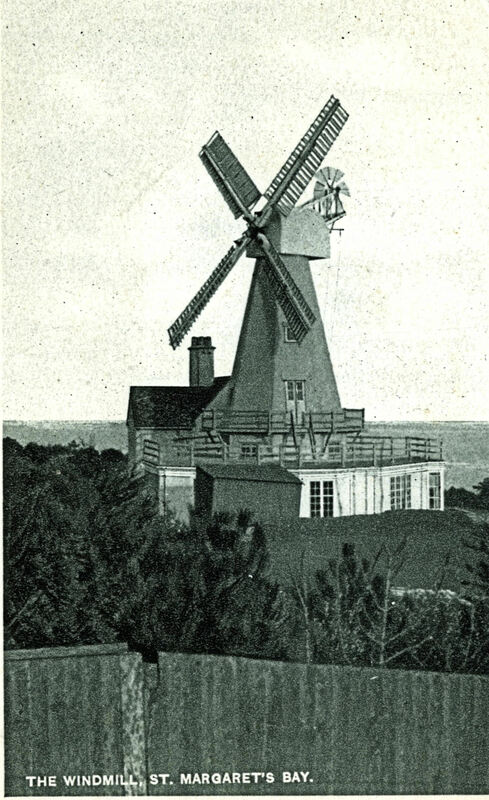 Before the windows were boarded, the Windmill had excellent views of the Channel and Vice-Admiral Bertram Ramsay authorised it to be commandeered for the use by a special force. The electricity generating mechanism was removed and the Windmill painted shiny white. The logic was to make the Windmill look like an innocuous working windmill and therefore more likely to remain free from attack. The ploy worked for the Windmill was never attacked although many long-range photos were taken of it by reconnaissance flights! The special unit that the Vice-Admiral had in mind was part of the Women’s Royal Naval Service (WRNS) all of which were German linguists. As part of the Admiralty Lookout team, their job was to monitor the radio messages from E-boats – fast, wooden hulled motor boats that attacked Allied shipping in the Channel and report them to Fortress Command. When Fortress Dover became more offensive the WRNS, along with naval personnel, operated transmitters that jammed the E-boats’ communications and radar. Following the War, the Windmill remained within the area commandeered by the War office. The nearby South Foreland battery was maintained with the guns being used for training purposes. In 1957, as defence policies changed from conventional to atomic warfare and guided missiles, coastal defences in the area were run down. The 4 guns of the South Foreland battery were dismantled that year, Jane and Clem early the following year. The last to go was the 233 Independent Maintenance Battery. The land and property was then returned to private hands. What state the house and the Windmill was in, I have not been able to ascertain but in 1969, the Windmill underwent repairs by millwrights Vincent G Pargeter and Philip Lennard. At that time some of the original shutters were replaced and the striking gear was overhauled. A new fan, fan shaft, drive shaft, pair of bevel gears, fan shaft bearings were installed and the sweeps repaired. Lightning later damaged one of the whips of the sweeps but this was dealt with. 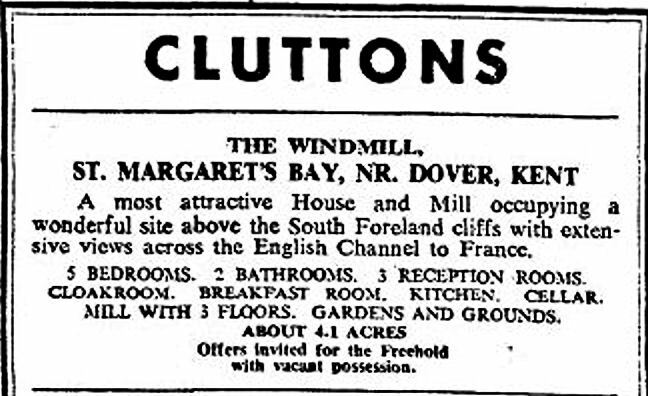 In 1972 the Windmill and house was put on the market and the advert tells us that the property, at the time, stood in 4.1 acres of grounds. The property consisted of five bedrooms, two bathrooms, three reception rooms, cloakroom, breakfast room, kitchen, cellar gardens and grounds. All the advert says of the Windmill is that it had three floors. In the 1990s, the house and Windmill was in possession of entrepreneur John Gordon (Algy) Cluff. The Windmill is now Grade II listed and has, no doubt, undergone subsequent refurbishments, but this information does not appear to be in the public domain. Albeit, the Windmill still stands, beautifully resplendent close to the cliff edge next to the old lower lighthouse, a legend in its own lifetime. This entry was posted in Buildings, St Margaret's, St Margaret’s Bay Windmill, St Margaret’s Bay Windmill, St Margaret’s Bay Windmill, World War II. Bookmark the permalink.